Big thanks to monkeyb0y for the pics! These are photos from his personal collection. 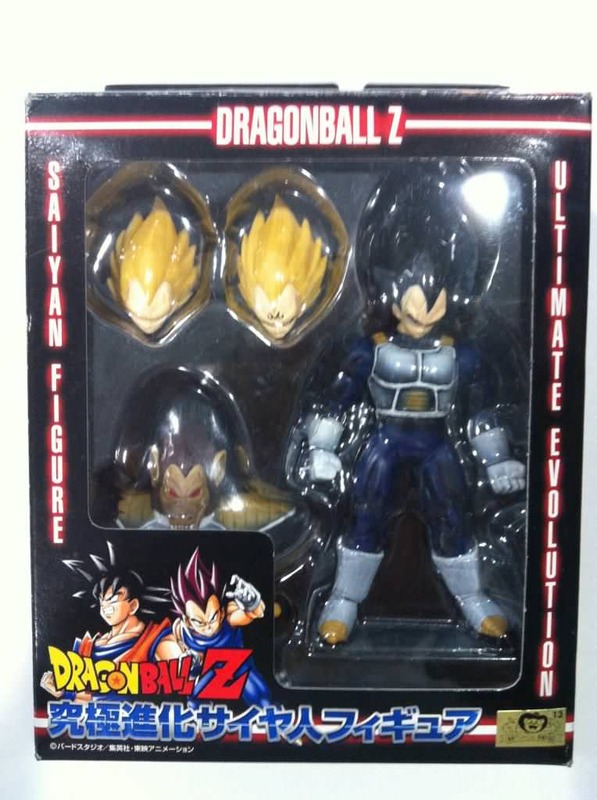 Awesome how Vegeta has a Majin head and a Oozaru one. I was just looking at these on YouTube. 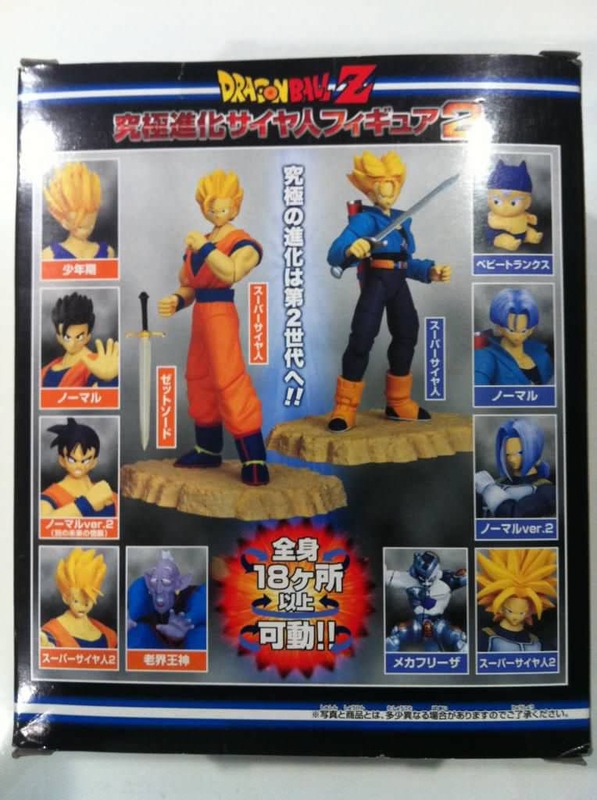 If it wasn't for the Figuarts line I would definitely look at picking these up. I feel the same way aussie, those figures come with some really cool accessories/alternate parts & effect stands. I love how each character comes with 2 different styles. 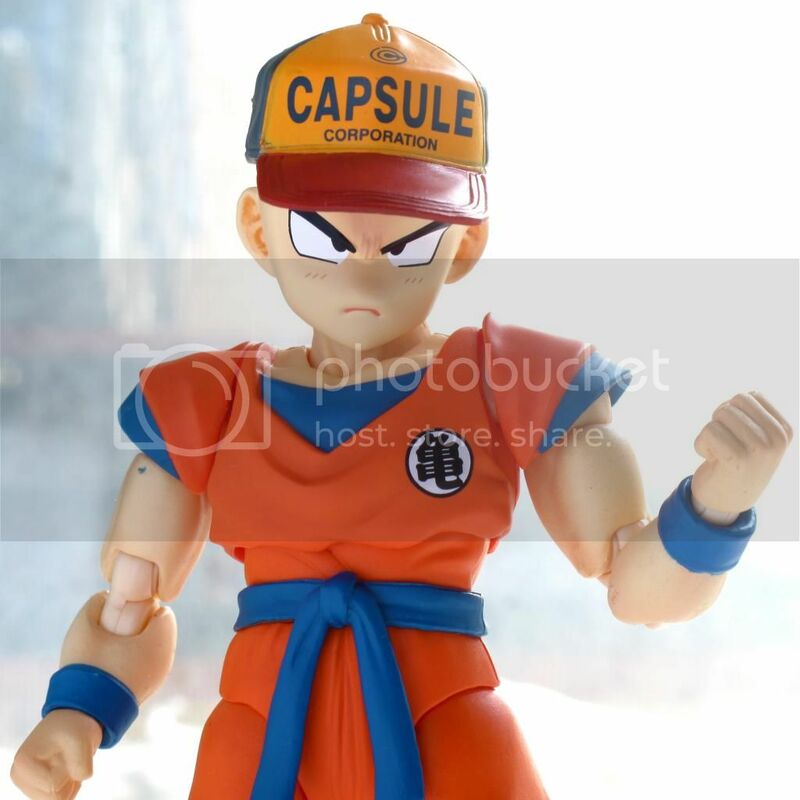 The only bad things about them compared to Figuarts, are the inferior sculpt & scale. They're a tad small, and not quite as detailed as Figuarts IMO. 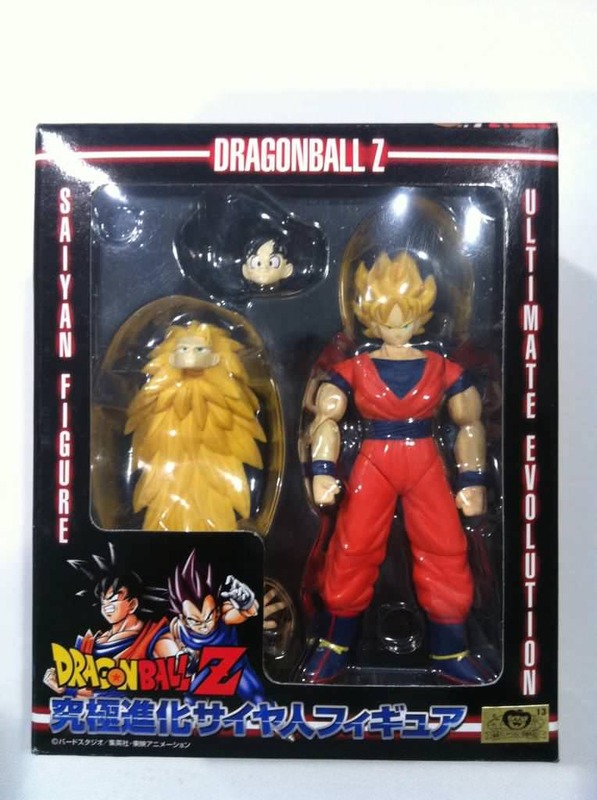 But I definitely want to collect this line after I obtain all of the Figuarts. Oh and btw we should have better pics for this list very soon. I plan to include pics that show all of the accessores/alternate parts they come with. Hey boddah you should probably bring the pics I used for my SHF checklist on the other site that are like collages(?) of the promotional pics. The pics on this checklist not looking the same is kind of bothersome. I think y'all should make a topic called "Pictures for the checklists - members can you help?" and hopefully somebody owns these and can take 4 matching photos. I looked at my hard drive, but unless I didn't name them properly, I don't have any pics of these. 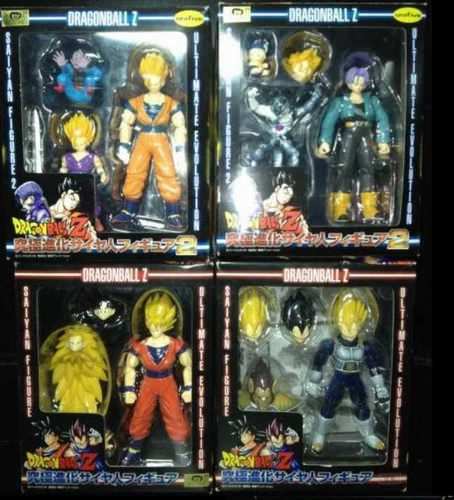 I do have a pic of the SS2 Gohan next to a Bandai/Jakks UFS Vegeta and so you can see that the figures are smaller than Irwin/Jakks/UFS. I'm guessing the adult characters are close to 4 inches tall. I got this pic off ebay at some point. Figure is dirty, but better than no point of reference at all. I'm actually working on pics for a few of the checklists right now. Oh, do you own these figures? 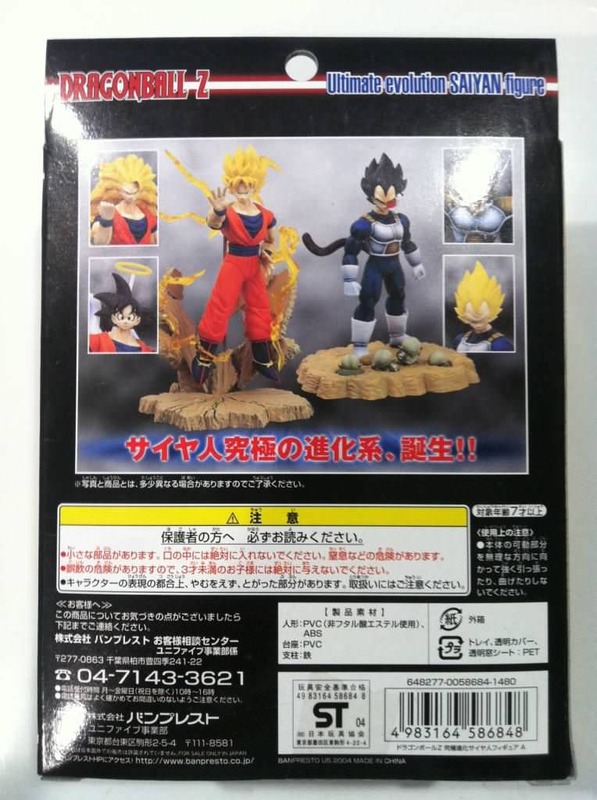 Bran, I've actually talked to m0nkeyboy about pics, and he said he wold try to get us pics for this line and the silver sticker Figuarts that we are missing. I just added these for the time being since they were already in my photobucket. Oh and Caps, we should talk about which lists you can/want to take pics for, then I can talk to people about submitting pics for all of the lists that are left. I wish I could help more with these topics, but I don't have 1 of everything of... barely anything, and those that I do... I have repainted something in some way making it not too useful for these purposes. Capsule x Nike or Boddah, you might save the main pic from this auction, upload it, and use it in the checklist just for comparison's sake. I love the new pic layout for this thread. Nice and uniform now. Anyone know the height of the Trunks? I think the figures are in the 4" scale if I remember correctly from what Bran said. 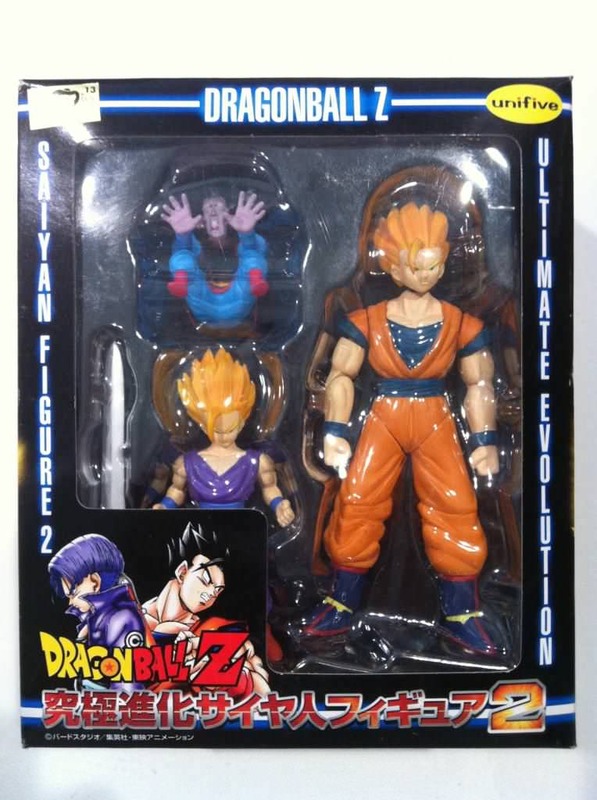 Awesome series of figures; especially Trunks' accessories. 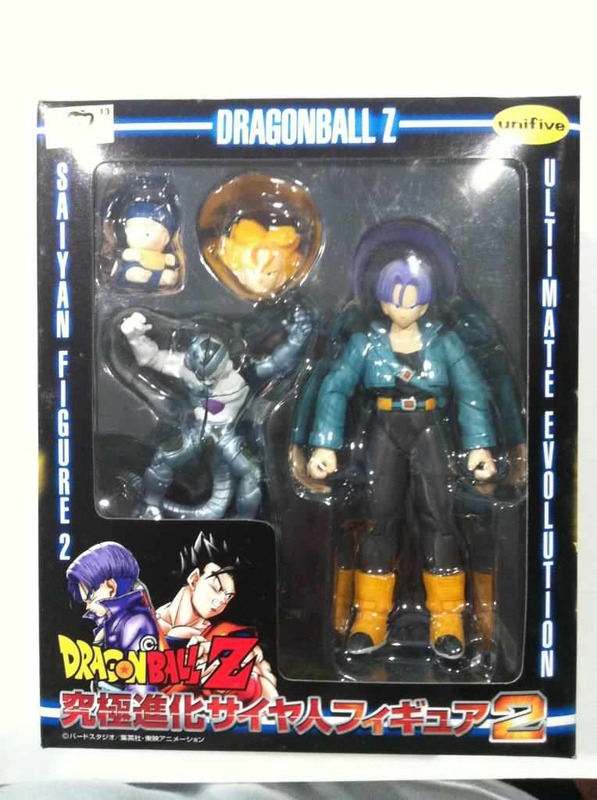 Not only coming with a Baby Trunks but also a Cyborg Frieza that splits in half and falls to pieces? Priceless. I'd love to collect these, especially since there's only four of them, too bad they're almost $100 a pop. 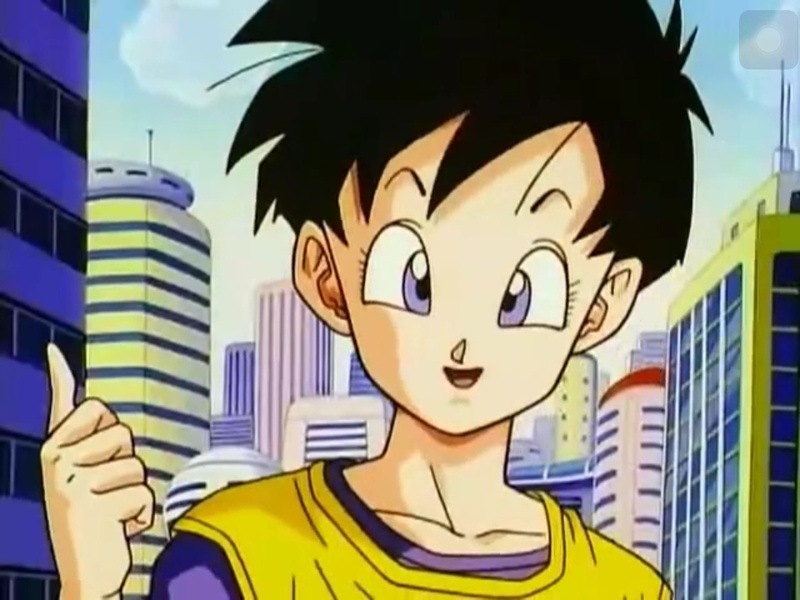 @eiscelcius I want Trunks just for the accessories haha, but the others come with pretty nice ones too. I really like Vegeta's Saibamen scene and oozaru head/torso. But as for the pricing, I've seen all of them go for $55 or less MIB, some were MISB, but most the time I see them for around $75. That's cool, I guess I just need to search more thoroughly for them!